Earlier in the day, major news such Australian Westpac Consumer Confidence (Previous: -4.8%, Actual: 1.9%) was released. On the side, US Consumer Price Index (YoY) was verified at 1.9%, unrevised from market’s expectation at 1.8%. 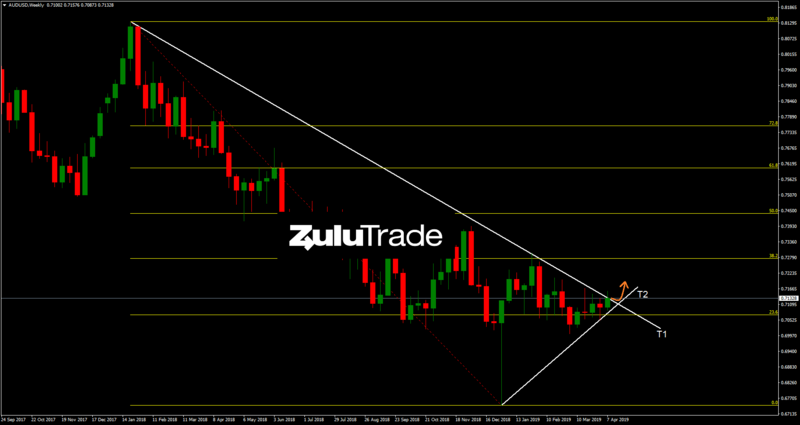 Reviewing the weekly technical aspect, AUDUSD has been moving downwards since the middle of January. The pair failed to remain below the 23.6% Fibonacci support level, while it bounced at the trendline (T2). Heading to the daily timeframe, the pair is currently testing the trendline (T1), which comes in confluence with the Daily (R1). Going to more technicals, RSI is holding above the basis line (50 level). 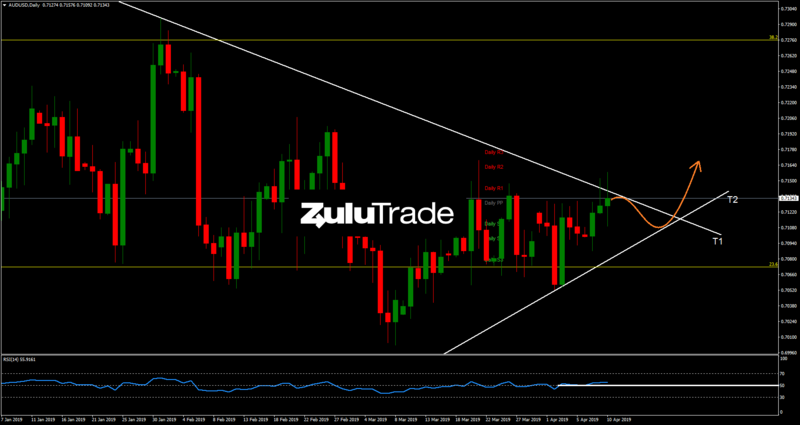 Overall, the setup indicates a potential breakout above the trendline (T1) and a continuation of the last month’s bullish momentum. So, the market may offer a buying opportunity towards the Daily (R3). On the other hand, if price breaks out the trendline (T2) to the downside, then the setup is busted. Major events such as Fed’s Quarles speech and FOMC Minutes are coming later in the day. Traders should keep a sharp eye on them, because it is expected high volatility during the session. Always review your own analysis. If there is a confluence between the current study and your own strategy, then you may have even better trading setups.